The Career Management Center (CMC) is seeking a creative and motivated Graphic Designer to assist the CMC Employer Relations team. All CSU students are welcome to apply, but sophomores and juniors are preferred. (Work-study or merit work-study awardees preferred but not necessary.) Flexible work hours between the hours of 8am-5pm with some evenings each semester. 10-15 hours per week; and willing to work around your schedule. The start date will be the beginning of the 2018 Fall semester, or earlier if student is available. 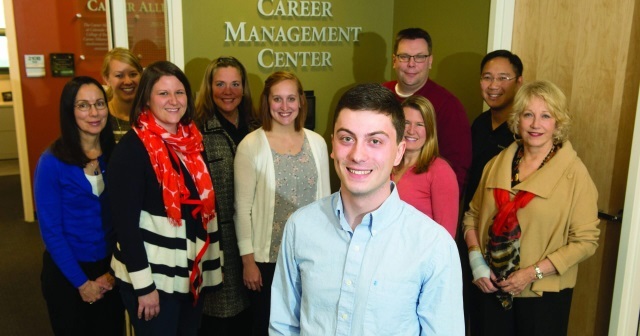 The Career Management Center provides a wealth of resources to guide and mentor students through the rigors of searching for career opportunities, with the ultimate goal of establishing a successful student-employer fit for each position. Produce original artwork and designs that enhance the CMC’s communication and marketing materials and visually strengthen efforts to reach audiences with information. Interested applicants should send their cover letter, resume, three references and brief answers to the following questions to Shawn Utecht (see contact information below). 2) What previous experience or skills do you have related to collateral design? 3) Attach a work sample or portfolio for review. Applications must be received by: Sunday April 22, 2018 at 11:59pm.